A great time was spent at the Canalside Community Centre, Lindsay St, Burnley , this afternoon. 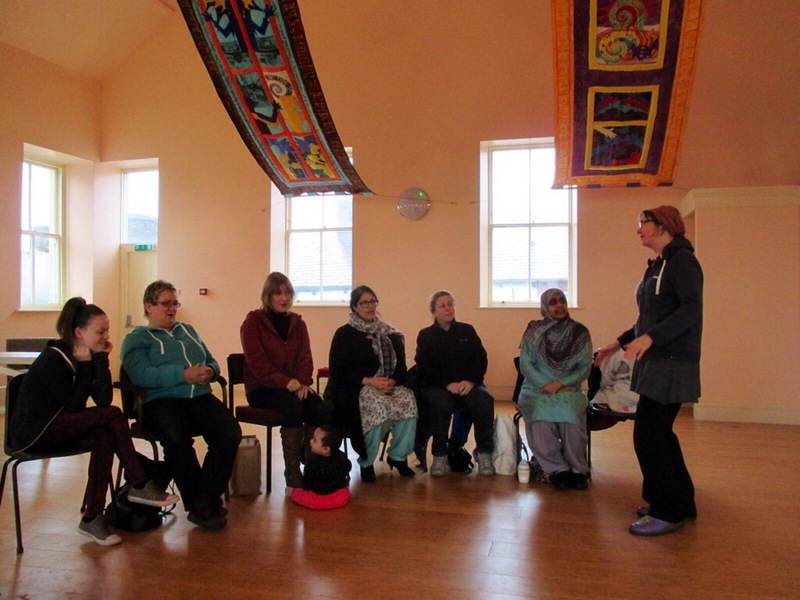 About 15 women turned up to have a sing and to share cake and tea together. Some of the new people were interested in trying the choir on a Tuesday and existing choir members really enjoyed themselves, singing new songs in a really relaxed setting…. Cakes were delicious too! Thanks to everyone involved in organising the day, especially Brenda Rochester. 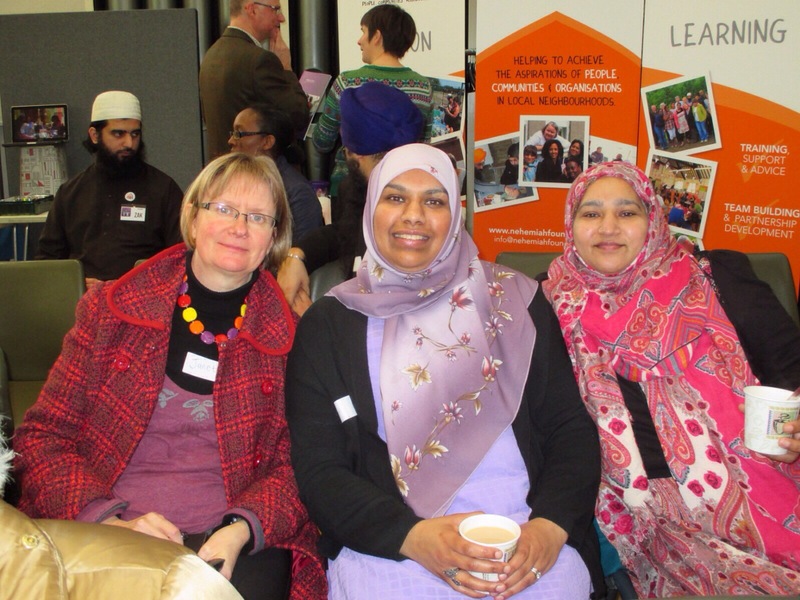 The photo shows some of the women who attended. Choir, a set on Flickr. 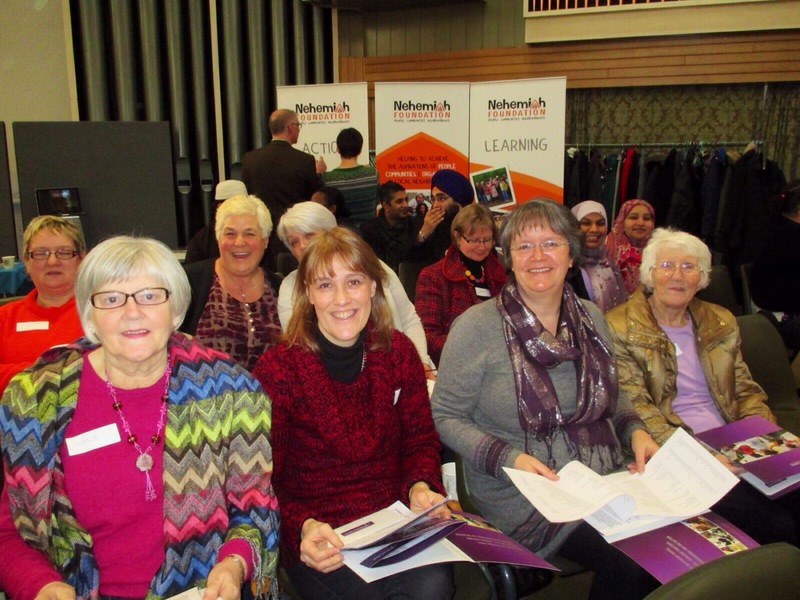 Getting ready to sing, at the ‘Near Neighbours ‘ Conference, Birmingham. Palestinian visitor to our choir. 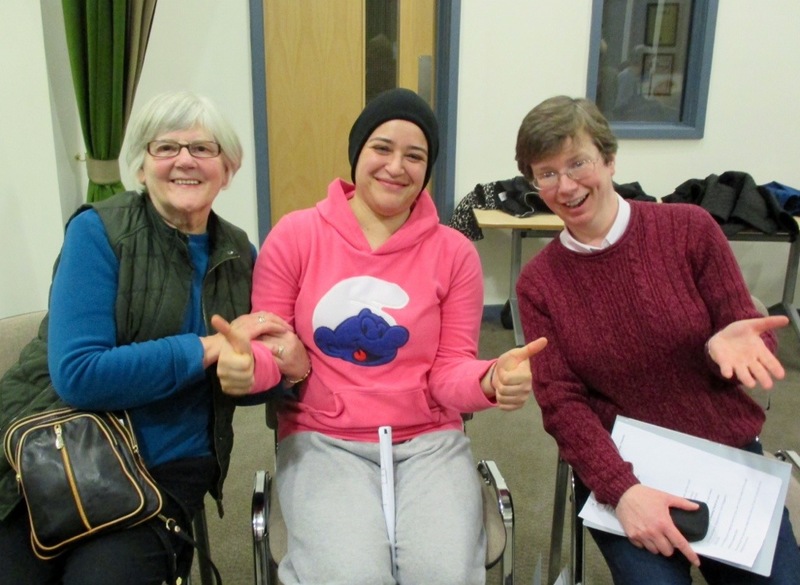 Last week saw the arrival of a young Palestinian woman to our choir for an evening visit. Nearby Pendle is twinned with a town in Palestine and a visit had been arranged for two young women to Pendle. As the organisers had heard of our interfaith choir they decided to bring one of their visitors, Waad, to sing with us. The coach for Birmingham will now leave at 7.45 am from outside the Faith Centre. Our ‘sister’ choir in the Holy Land with Polish Women from Burnley. Thanks to our choir member Karen who took the video.